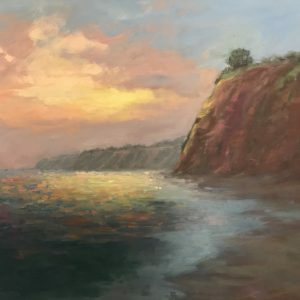 Oil painting on location in coastal California. 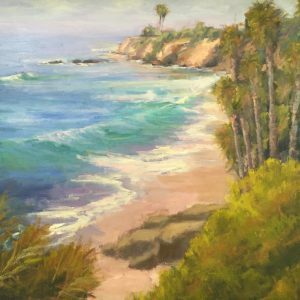 Kathleen paints original oil paintings in the impressionist style. 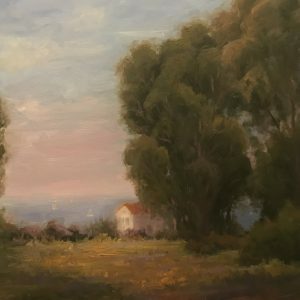 Most of them are painted in Plein Air alla prima, which means outdoors all in one sitting. She is inspired by the works of famous artists like Cecilia Beaux, Franz Bischoff, and Joaquin Sorolla. Learn more about the impressionist painter and her life and works in the about section. 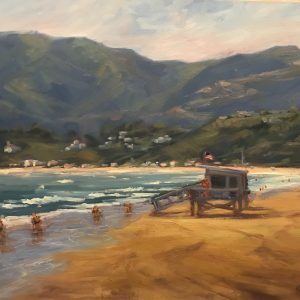 Original oil paintings have a special place in the heart of collectors as they are one of a kind pieces that only one person owns. Although artists often paint the same location over and over, no two original paintings will ever be the same, as every brushstroke and oil pigment is unique and unreplicable. 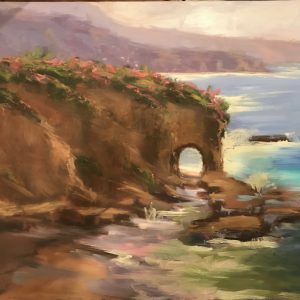 Take a look at her oil painting blog to see the paintings as they are created weekly with some commentary, or check out her oil paintings for sale to find out how to buy them in person or online.